Le linn an Carling Nations Cup a chríochnaigh ar an Domhnaich bhí go leor gearáin ó bhainistíocht agus lucht tacaíochta Thuaisceart Éireann faoin “póitseáil” atá ar bun ag foireann na Poblachta ar imreoirí. Le blianta beaga anuas tá imreoirí sacair ó na sé chontae, (mar shampla Darren Gibson, thuas) ag roghnú na Poblachta thar fhoireann an Tuaiscirt. Glacann FIFA leis an gceart atá acu, faoi Chomhaontú Aoine an Chéasta, an rogha seo a dhéanamh. Níl an Tuaiscirt cosúil le háiteanna eile ar domhan, mar sin níl na rialacha bunreachtúla, polaitiúla nó sportúla céanna i bhfeidhm ann is atá in áiteanna eile. Dá mbeadh foireann an Tuaiscirt ag déanamh gach iarrachta imreoirí ón bpobal náisiúnach a mhealladh agus nach raibh siad ag déanamh “póitseáil” ar imreoirí ó Shasana iad fhéin, bheadh údar gearáin áirithe acu. Ach níl siad ag déanamh fíor-iarrachta. Seinntear Go Sabhála Dia an Banríon ag cluichí de chuid an Tuaiscirt, amhráin náisiúnta na Ríochta Aontaithe. Mura bhfuil an Ríocht Aontaithe ag imirt níor cheart an t-amhrán seo a sheinnt. Baintear úsáid as brat Stormont chomh maith. Ní hé nach bhfuil amhrán ar leith á húsáid ag lucht spóirt an Tuaiscirt cheanna féin – seinneann siad Danny Boy le linn Cluichí an Chomhlathais. Ó mo thaithí féin sna sé chontae is beag duine ón bpobal náisiúnach a thacaíonn le Tuaisceart Éireann. Chas mé ar go leor daoine nach dtacaíonn leo ar chor ar bith agus roinnt eile a bhí chomh nimhneach sin in éadan an Tuaiscirt go dtacódh siad le Sasana dá mbeadh an dá fhoireann ag imirt in aghaidh a chéile. Is faoin IFA atá sé daoine ón bpobal náisiúnach a mhealladh, sa chaoi céanna gur faoi náisiúntóirí atá sé daoine ón bpobal aontachtach a mhealladh le tacaíocht a thabhairt d'Éire Aontaithe. Agus is fíor freisin go mbeidh daoine sna sé chontae nach dtacóidh le Tuaisceart Éireann riamh cuma cén athrú a dhéanann siad. Caithfidh an IFA glacadh le sin, sa chaoi chéanna go bhfuil ar náisiúntóirí glacadh leis go bhfuil Tuaisceart Éireann é féin ann. B'fhearr liom dá mbeadh foireann amháin don oileáin, ach is léir nach nglacfaidh lucht leanúna an Tuaiscirt leis an moladh sa ghearrthéarma agus ní mór meas a thabhairt don tuairim sin. Fiú dá mbeadh Éire Aontaithe ann b'fhéidir gur cheart an dá fhoireann a fhágáil mar atá ar feadh tréimhse ina dhiaidh sin. Tá roinnt conspóide ag baint leis na hamhráin a sheinntear ag cluichí rugbaí chomh maith – ach tá leigheas an-simplí ar sin. D'fhéadfaí Amhrán na bhFiann agus Danny Boy a sheinnt i mBóthar Lansdún, Cnoc an Fhéich agus as baile freisin. 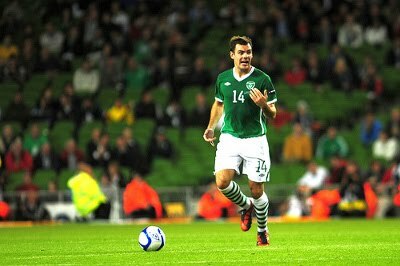 Sílim go mbeadh beagnach gach éinne aontaithe faoi cheist amháin - gur cheart fáil réidh le Ireland's Call go hiomlán. I was watching an episode of the West Wing lately in which women's rights in the Muslim world were discussed. CJ Craig (Allison Janey) made the point that discrimination against women in the fictional Gulf Arab state of Qumar was no different to discrimination against black people under apartheid in South Africa. She also compared the way South Africa was viewed by the rest of the world with the blasé way in which appalling discrimination against women is tolerated. I hadn't thought of the similarity before but I think it's a correct one. Examples such as the arrest of Manal al-Sharif highlight the shocking treatment of women in Saudi Arabia, the most regressive country the Middle East. The 32 year old computer security consultant was arrested for driving on Sunday 22 May. Al-Sharif is the organizer of an online campaign (#women2drive) encouraging Saudi women to drive en masse on 17 June. According the the Saudi Arabian interpretation of Sharia 'law', women should not drive. This makes driving a de facto illegal activity for women. Women also suffer in the state's public transport system, which is segregated along gender lines. Women are made to sit at the back of buses, like African-Americans were made to in the southern USA. (You'll notice how the people demanding segregation never place themselves at the back of buses or anywhere else, something that in theory could happen if segregation was not intended to imply that one group was superior to the other – which of course it does in both cases). South Africa enforced similar policies against black people under apartheid, and became an international pariah because of it. Campaigns, protests and sit-ins were organised, songs were written, films were made and sanctions were enforced over these policies. Yet we blithely accept similar oppression of women in Saudi Arabia, no doubt because of the amount of oil their royal family controls. Not being able to drive is just one of the many ways in which women are discriminated against in Saudi Arabia. According to Amnesty International women are denied the right to vote, and must obtain the permission of a male guardian before they can travel, take paid work or higher education, or marry. 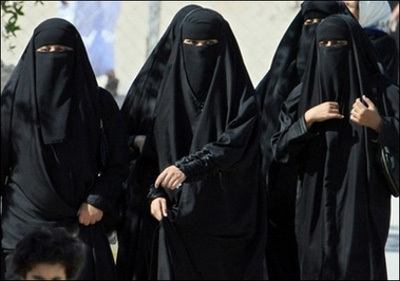 Saudi Arabia is not the only country in which women are treated as second class citizens. Overt legal discrimination against women is found in many parts of the Muslim world, and in general the more influence Sharia law has on a country the worse off women are. I started to read the Koran recently, to get an insight into the holy book of Islam. I have to say it's a bit of struggle, as it doesn't seem to have much of a structure or chronology. One thing I have noticed so far however is the clear message that women are inferior to men. For example, men receive twice the inheritance of women while the word of a male witness is equal to that of two females. If that's what God says, and you believe God should be obeyed, then it doesn't leave much room for interpretation. Manal al-Sharif is a very brave women, she is the Rosa Parks of Saudi Arabia, and deserves the praise and support of all those who value equality. Best of luck to her and her campaign. Deá-sceál dóibh siúd atá ag iarraidh cearta daonna a chur chun cinn é gabháil Ratko Mladic inniu. Tá coireanna cogaidh curtha i leith iarcheannaire Arm na Seirbeach Boisniach le linn na coimhlinte brúidiúil i mBoisnia sna luath 1990í. Ina measc tá léigear Sairjéavó agus ár Srebrenica, inar cuireadh 8,000 fir agus ógánach chun báis. I rith an chogaidh rinne fórsaí Mladic iliomad coir, mharaigh siad sibhialaigh, d'éignigh siad mná agus cailíní agus ruaig siad na mílte Boisniach agus Crótach óna gceantar dúchais. Is ón gcoir dheireanach seo a tháinig an téarma 'glanadh eitneach'. Mar sin is maith an rud é go bhfuil Mladic le cur faoi thriail. Tá moladh tuilte ag rialtas agus muintir na Seirbia go bhfuil siad sásta glacadh leis an méid a rinne iar-rialtais sa tír, murab ionann go leor tíortha eile timpeall na cruinne, agus an dlí a chur ar dhaoine a bhí ina 'laochra náisiúnacha' tráth dá raibh. Cuirtear ár Srebrenicia i leith Mladic, ár a chuirfhinn i gcomparáid le hionsaithe 9/11. Is cosúil go raibh Osama Bin Laden ciontach as an uafás sin inar maraíodh 3,000 sibhialach. Is trua nár cuireadh an dlí ar Bin Laden, ach nílim ró-bhuartha go bhfuil sé imithe ar shlí na fírinne. 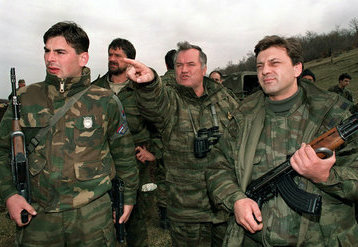 Tá sé spéisiúl coireanna Mladic agus Bin Laden a chur i gcompar le coireanna iar-phríomhaire na hIosraela, Ariel Sharon. Dúirt fiosrú Iosraelach go raibh Sharon 'freagrach go hindíreach' as ár Sabra agus Shatila i mBéiriút in 1982 agus é i gceannas ar arm na hIosraela. Mharaigh comhghuallaithe na nIosraelach, an Phalange, 2,000 bean agus páiste Pailistíneach thar trí lá, agus chiorraigh siad roinnt de na coirp. Tá Sharon freagrach as coireanna atá ar chomhchéim le coireanna Mladic agus Bin Laden, ach ní chaitear leo ar an mbealach céanna. Má tá sé de cheart ag rialtas Mheiriceá Osama Bin Laden a mharú, le cúnamh, de réir roinnt foinsí, fianaise a fuaireadh trí céasadh a dhéanamh ar chimí i gCuan Guantanamo, a bhfuil sé ceart go leor má dhéanann an t-údarás Pailistíneach a mhacasamhail le Sharon? An bhfuil sé de cheart acu saighdiúrí Iosraelacha a fhuadach, iad a chéasadh go dtí go n-insíonn siad dóibh cén áit atá Sharon ina chónaí, agus ansin drong armtha a chur ann chun é a mharú? Má tá rialtas Mheiriceá in ann an dlí ar chur ar leataobh níl aon chúis gearáin acu más amhlaidh a dhéanann tíortha eile. B'fhearr is bhfad dar ndóigh go gcuirfí Ratko Mladic, Osama Bin Laden, Ariel Sharon agus búistéirí eile ós comhar na Cúirte Coiriúil Idirnáisiúnta. A while ago I read an article by commentator Kevin Myers on crack. He has actually been writing articles on crack for years now, as these links show (Link, Link). It's obvious Mr Myers has a great interest in crack and he probably likes to have some crack now and then. Lots of people think that crack rocks, but I would warn him that there is such a thing as too much crack, as the buzz people get from having crack can be quite addictive. As far as I know Kevin Myers works from home and probably has so much crack there that his humble abode might even in future be referred to as a 'crack-house'. Mr Myers has such a love for crack that if he was to work in an office he would surely end up breaking some Health and Safety rules. Although as a man who doesn't suffer political correctness gladly, I've no doubt he would tell Health an Safety officers that he doesn't give a damn about their nanny-state regulations, and that they can put that in their pipe and smoke it! Ok, I'll admit it, the above paragraphs are a tongue in cheek comment on Kevin Myers' bizarre obsession with the word 'craic'. 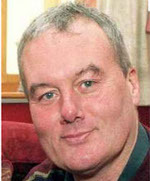 You may have been confused by the title, 'Kevin Myers on crack'. What I mean by this, of course, is Kevin Myers writing about crack, not the other meanings of 'on crack' – that someone is high on crack cocaine or has deranged opinions. The fact that 'crack' has had two meanings since the advent of crack cocaine may just be a clue to the reason the alternative spelling 'craic' has become more popular. Kevin Myers complains that 'craic' is an Irish version of the English word 'crack' (which is found in terms such as to 'crack a joke'). He also believes for some odd reason that Irish speakers will be shocked and horrified by this 'unpalatable' revelation. Let me assure you Mr Myers, we're not. As a long-time opponent of the Irish language ('Erse in a hearse' is how he put it once) I've no doubt his obsession with 'craic' (seriously, three articles?) is just the latest of his ridiculous attacks on the language. Although to take this particular attack seriously you would indeed have to be on crack. Deireadh le ré uafáis an R&B? Scríobh Úna Mullaly le déanaí gur droch rud é go bhfuil níos mó tionchair ag ceol damhsa ar cheol pop na laethanta seo. Ní aontaím le seo, is maith an rud é go bhfuil a leithéid de na Black Eyed Peas, Lady Gaga, Rihanna, Katy Perry, Kelly Rowland agus Kesha ráthúil le pop-damhsa. Níl mórán spéise agam i gceol pop ach tá sé deacair éalú uaidh go hiomlán nuair a bhíonn sé ar siúl ar an raidió in oifigí, busanna, tacsaithe, siopaí srl. B'fhearr liom fhéin ceol damhsa ar nós na Chemical Brothers, Leftfield, Daft Punk srl ach is maith an rud é go bhfuil níos mó tóra ar phop-damhsa sna cairteanna toisc go bhfuil an seans ann go gcuirfidh sé deireadh le ré uafáis an R&B agus hip-hop. Le 10 mbliana anuas bhí an lámh in uachtar ag R&B agus hip-hop sna cairteanna. Is maith liom roinnt ceol hip-hop, (féach thíos, ach seachain tú fhéin má chuireann droch-fhoclaí isteach ort) ach is truflais é 95% den hip-hop atá sna cairteanna. Níor chuir mé aon amhrán R&B maith thíos toisc nach bhfuil a leithéid ann. Ní hamháin go raibh ceol R&B agus hip-hop i réim le 10 mbliana anuas, bhí damhsa hip-hop freisin. Muna bhfuil sé feicthe agat riamh samhlaigh duine le 10 foiche faoina éadaí agus iarraidh fáil réidh leo. Is rud aisteach é ceol pop agus níl a fhios agam cén fáth go bhfuil ceol damhsa ag fáil an lámh in uachtar ar R&B agus hip-hop, ach d'fhéadadh baint a bheith aige le cúrsaí geilleagrach. Tá cúrsaí eacnamaíochta go dona i láthair na huaire, tá daoine in ísle brí agus tá siad ag lorg rud éigin chun a gcroíthe a thógáil. An fhadhb le R&B agus hip-hop ná nach bhfuil mórán craice ag baint leo. Tá formhór na n-amhrán hip-hop, ach go háirithe, feargach, sotalach agus féin-mholtach, agus níl aon spraoi ag baint leo. 'People must be amused' a dúirt fear an ciorcais i Hard Times, ach tá i bhfad níos mó craice a baint le ceol damhsa ná R&B agus hip-hop. An chéad uair eile atá tú i gclub oíche déan comparáid idir líon na ndaoine a bhíonn ag damhsa go hamhráin R&B/hip-hop agus an méid a bhíonn ag damhsa go hamhráin ar nós an ceann thíos agus feicfidh tú céard atá i gceist agam. Fair play to the British Queen for saying a few words in Irish at the State Banquet on Wednesday, it was good to see her speak a language her predecessors on the throne spent centuries trying to wipe out. 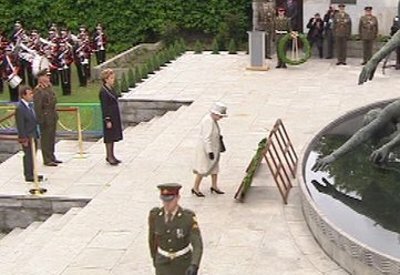 As well as that, fair play to her for laying a wreath at the Garden of Remembrance on Tuesday. In doing so she acknowledged the struggle for Irish freedom from 1798-1921, a struggle against the crown she wears on her head. It would be churlish not to acknowledge the importance of this gesture, in a way she was saying that this struggle was legitimate. 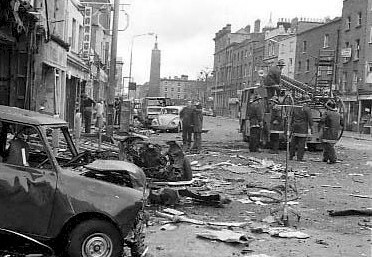 Another word of praise must go to broadcaster Vincent Browne for discussing the Dublin-Monaghan bombing on its 37th anniversary on his TV3 show on Tuesday. 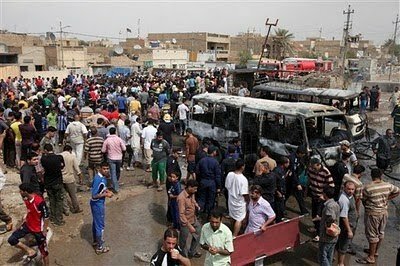 The families of the 34 people killed and the hundreds of injured have been shamefully treated by the Irish and British governments since the atrocity occurred. The bombing was barely investigated by the Gardaí and the British authorities are still unwilling to cooperate with efforts to find the truth. The theme of the week has been the 'normalization' of relations between the Republic of Ireland and the UK, however, there is nothing normal about the UK's refusal to release all it knows about the greatest crime in the history of the Irish state. Lá stairiúl atá ann inniu, beidh Banríon Shasana, Éilis II, sa Phoblacht, an chéad chuairt ag ceannaire stáit na Breataine ar na 26 contae. Ócáid shuntasach atá ann, níl aon amhras faoi sin, ní raibh Banríon nó Rí Shasana sa Phoblacht go dtí seo. Táthar ag déanamh cur síos ar an gcuairt seo mar an chéim dheireanach den 'normálú' idir Poblacht na hÉireann agus an Ríocht Aontaithe. Deirtear chomh maith gur comhartha atá ann go bhfuil daoine in Éirinn “in inmhe” anois le glacadh leis an gcuairt seo. Tá suntas ag baint leis an lá seo ar chúis eile áfach, agus tá dlúthbhaint idir an dá chúis. Ar an lá seo 37 bliain ó shin tharla buamáil Bhaile Átha Cliath-Muineacháin, an choir is mó is stair an Stáit. Maraíodh 34 duine ar 17 Bealtaine 1974, an lá is fuiltí le linn na dTrioblóidí. Tá amhras ar go leor daoine go raibh baint ag fórsaí slándála na Breataine, sé sin, fórsaí slándála na Banríona, leis an uafás seo. Ó shin i leith, tá diúltaithe ag an mBreatain eolas atá acu maidir leis an gcoir seo a scaoileadh, ainneoin iliomad iarratas ó theaghlaigh na marbh, gníomhaithe, an tOireachtas agus Taoisigh. Mar sin, cén chaoi gur féidir 'normálú' a dhéanamh ar an gcaidreamh idir dhá thír nuair a amhras ann go ndearna ceann amhán acu buamáil sceimhlitheoireachta ar an gceann eile agus go ndiúltaíonn siad eolas atá acu faoin mbuamáil sin a eisiúnt? Cuimhnigh chomh maith an drochmheas breise a léiríonn sé do mhuintir na hÉireann – le 40 bliain anuas tá go leor leor cainte déanta faoin gcomhoibriú slándála idir na Gardaí agus an RUC agus an PSNI. Deirtear linn go rialta go bhfuil an comhoibriú seo níos fearr ná mar a bhí riamh agus go bhfuil go leor daoine beo inniu de bharr an chomhoibrithe seo. Le blianta fada tá cabhair tugtha ag an bPoblacht chuig an mBreatain le stop a chur le iarrachtaí an tír sin a bhuamáil. Ach nuair a iarrann muidne ar an mBreatain le haghaidh eolais faoin mbuamáil is measa is stair na hÉireann, diúltiú glan a fhaigheann muid. Níl aon rud 'normálta' faoin staid seo. A familiar charge was repeated in the piece – that Dubliners didn't support the Easter Rising in 1916. Other accounts tell of how the rebels were abused and spat on and that some Dubliners even engaged in a bit of opportunistic looting during the Rising. Not the most flattering of portraits to say the least. This article touches on some truths regarding Dublin, which in ways is more Anglocentric than other parts of the country, but its main premise does not add up. Let me deal with some minor points made in the article. First of all, there is no Dublin government. The majority of TDs in the Dáil are from outside Dublin and many TDs elected in Dublin aren't even from the county. The Irish government is located in Dublin, that doesn't mean it's run by Dublin. Secondly, Dublin lacks “any significant presence of an indigenous populace or self-generated culture,” according to the article. Never heard of Croke Park? Regarding 1916, it's true that the ordinary citizens of Dublin did not respond to the call from the rebels to rise up, but then again, neither did the ordinary citizens of any other part of the country. Waters points out that only two of the Proclamation signatories were from Dublin as part of his argument – but fails to tell us how many of the Volunteers or Citizen Army fighters were from Dublin. I don't know the figure, but would be surprised if it was not the majority. The popularity of the rebellion in Dublin and the rest of the country is an important issue – one that has relevance today. The entirely implausible revisionist/anti-Dublin depiction is that Dubliners in 1916 were contented subjects of the Crown who were furious with the rebels but then did a remarkable volte face and became committed republicans when the leaders of the armed uprising they supposedly hated were executed. 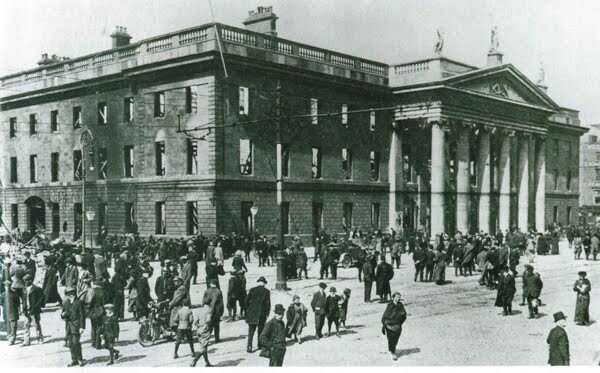 They then went on to vote overwhelmingly for Sinn Féin at the 1918 election and the county, along with Cork, became the crucible of the War of Independence. In this respect Dublin can claim to be less tied to the British Empire than most other non-Unionist parts of the country, John Waters' Roscommon included. Go back to the 19th Century and you'll see that the vast majority of Dubliners, once given the vote, voted for nationalist parties. Sinn Féin didn't achieve a clean sweep in Dublin in 1918 however, something that may give us a clue to the public hostility shown to the Rising and the Anglocentric tendencies still found in the county. A man by the name of Maurice Dockrell was elected in the Dublin Rathmines constituency for the Irish Unionist Alliance in 1918. (His son, Henry, was elected to the Dáil for Dublin County in 1932 for Cumann na nGaedhael and later for Fine Gael). Another notable politician is Bryan Cooper, a British Army officer who was elected to Westminster as a Unionist MP in 1910 for Dublin South and subsequently won a seat in the Dáil as an independent TD for Dublin County in 1923 and for Cumann na nGaedhael in 1927. What many don't realise today is that Dublin had a Unionist community before independence, no different to Unionist communities in the North today, with members ranging from the liberal to the sectarian, remnants of which survive to this day. As I mentioned earlier Dublin, in some ways, is more Anglocentric than other parts of the country. The most obvious manifestation of this is the 'Dublin 4' accent – which started out as an attempt by people to sound more English and later added some American influences. Another are the Hibernophobic Ross O'Carroll Kelly types found in Dublin. Hostility to indigenous Irish culture is probably stronger in Dublin than other parts of the Republic, but this is a case of degrees, not absolutes - witness the success of the Dublin hurlers on Sunday and the narrow loss by the footballers the previous week, to give one example. Regarding Dublin's working class, I've lived in republican west Belfast and can say that the Sun-reading, Premiership-following, Coronation Street-watching culture is as prevalent there as it is in the capital. Where Waters is accurate is the Anglocentric nature of our media. To get an idea of this just compare the number of pro-Unionist commentators in the newspapers to the number of pro-Nationalist ones. Where he is wrong however is claiming that commentary in the media is representative of Dubliners. Tá Osama Bin Laden marbh de réir Barack Obama, beagnach deich mbliana tar éis 9/11. Is cuma cad a shíleann daoine faoi pholasaithe eachtrannacha na Stáit Aontaithe Meiriceá – níl aon leithscéal don mhéid a rinne Al Qaeda an lá sin. Séard a bhí ann ná ár inar maraíodh 3,000 sibhialach. Ba é an t-ár is measa ar domhain ó Srebrenica i 1995, am ar maraíodh 8,000 sibhialach sa bhaile sin i mBoisnia. Ní hé 9/11 an t-aon shampla atá ann d'ionsaithe ar shibhialigh ar rinne grúpa Bin Laden – tá Bali, Londain, Maidrid agus an t-uafás ionsaithe a rinne siad ar an bpobal Shia san Iaráic (thuas), ionsaithe a spreag nach mór cogadh cathartha sa tír sin. Tá Coinbhinsiún na Ginéive soiléir ar an bpointe seo – tá sé mídleathach ionsaithe a dhéanamh ar shibhialaigh. Is sceimhlitheoir aon duine a dhéanann ionsaithe d'aon ghnó ar shibhialaigh agus mar sin is sceimhlitheoir fuilteach brúidiúl a bhí in Osama Bin Laden.